Many of the older species had colourless flowers which may be the origin of the name, from the Greek a, no, stilbe, rightness (Saxifragaceae). 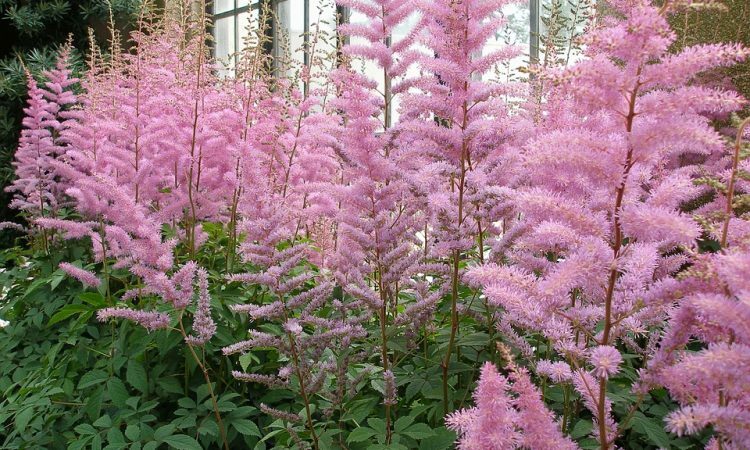 A small genus of herbaceous perennials with feathery plumes composed of myriads of minute flowers in white, many in shades of pink and deep crimson. They are delightful waterside plants but they will grow in the herbaceous border if given a good, rich, moist soil. They will grow well in partial shade and there are dwarf species suitable for the rock garden. Species cultivated A. chinensis pumila, 1 foot, rose-lilac flowers in late summer. A. crispa, 6 inches, salmon-pink flowers, summer. A. davidii, 4-5 feet, rose pink flowers in late summer. A. japonica, 2 feet, white flowers in spring. A. simplicifolia erecta, 9 inches, pink flowers in arching sprays in summer. A. thunbergii, 1-2 feet, white flowers in May. Cultivars ‘Amethyst’, 3 feet, lilac-purple. ‘Cattleya’, 3 feet, orchid-pink. ‘Fanal’, 2 feet, garnet red. ‘Feuer’, crimson with deep crimson foliage. `Granat , 3 feet, rose-crimson. ‘Professor Van der Weilan’, 3 feet, white. `Red Sentinel’, 2 feet, brick red. ‘Rhineland’, 2i feet, rich rose pink. ‘Venus’, 3 feet, deep pink. `White Queen’, 2 feet. All these are known as A. x arendsii hybrids and are of complex parentage. Others will be found in nurserymen’s lists. Cultivation Plant in autumn or spring and water well in dry weather. Propagate by division or seeds. Astilbes may also be grown as early-flowering greenhouse plants. They should be potted up in the early autumn in a compost of loam, leafmould and sand. Pots should be kept plunged outdoors until December when they may be brought into the greenhouse and forced into early flower in a temperature of 55-60°F (13-16°C). 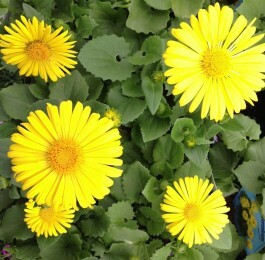 After flowering is over the plants should be hardened off, after which they may be planted outdoors again in May.